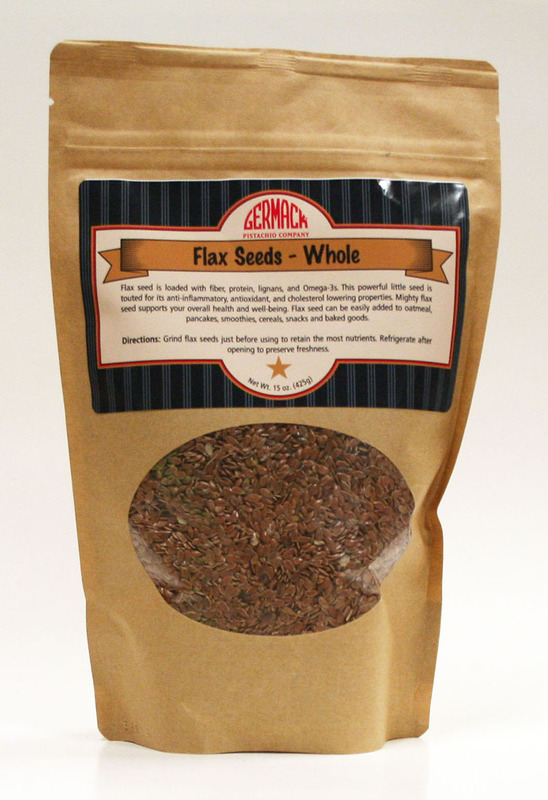 Whole brown flax seed. Get your daily dose of Omega 3s with this superfood! Grind first and stir into oatmeal, yogurt, cereals, baked goods, you name it! Nutty flavor! This item is a pack of two 15 oz. bags. Packed in a kraft paper, lined, stand-up, zip-top bag.